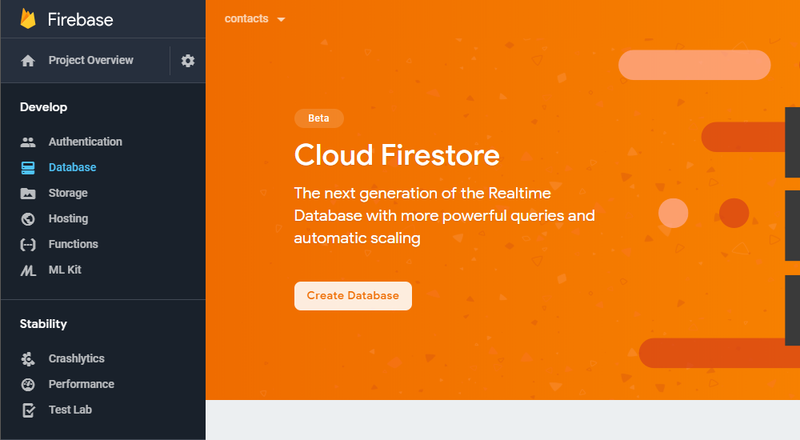 On the side menu: Develop > Database > Cloud Firestore > Create Database. Select Start in test mode to allow all reads and writes to your database. Add a new collection called "contacts"
Enable Anonymous authentication at Authentication > SIGN-IN METHOD > Anonymous > Enable > SAVE. 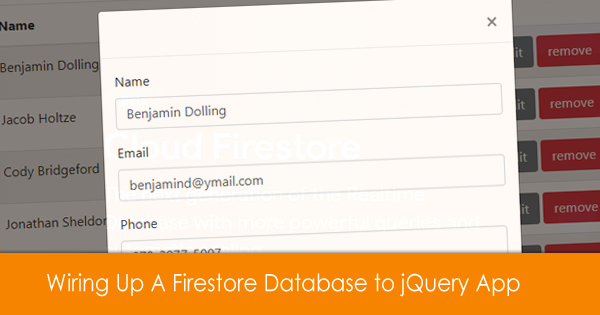 For more info, check Firebase Web Setup. 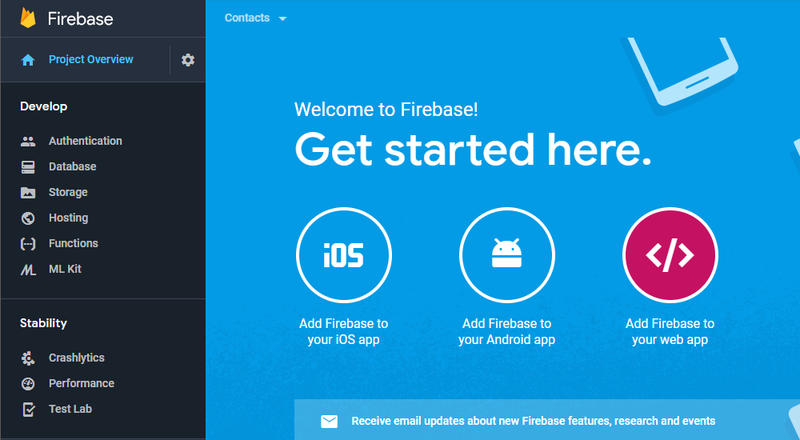 // Initialize Firebase : Replace with your Project Config!!!!!! 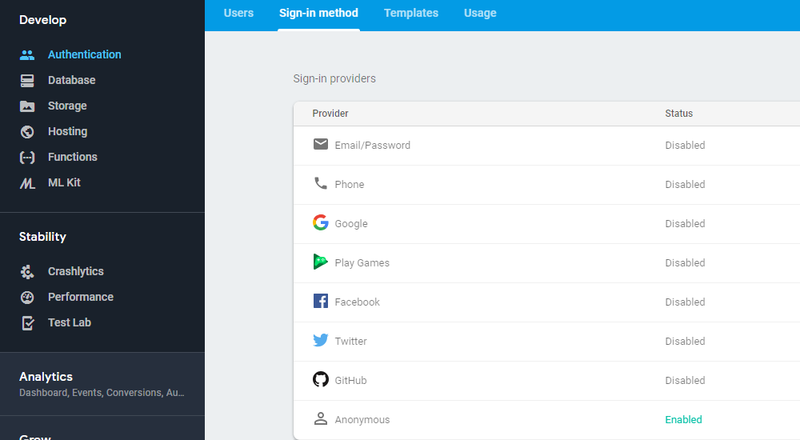 Note it is only including the components we need : firebase-app, firebase-auth and firebase-firestore. Note the "data-prop" attribute with values matching the contact fields in table template row and also in the form inputs. This is the jQuery code saved in "index.js"
First -on Document Ready- it will anonymously sign-in user. Also attaching event handlers for the edit/remove/add buttons and form submisson. 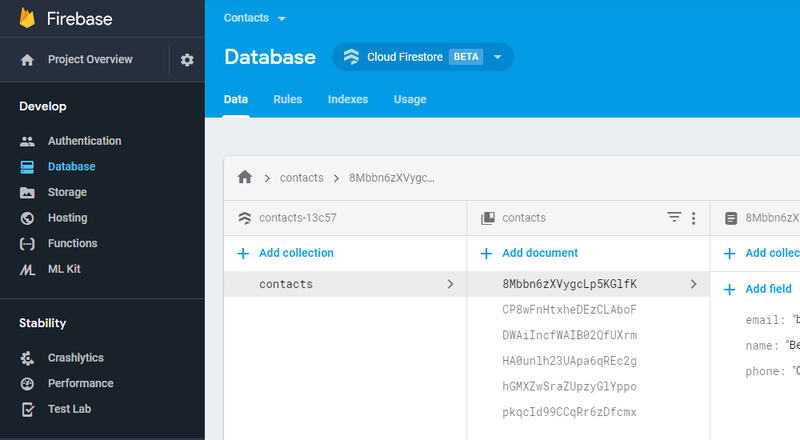 Then get the contacts collection, and loop each document to add a new row in the contacts table. On Add/Edit, it will open a Bootstrap modal to display the form. and will load existing Contact data to edit. On Save, will decide to use update() or add() based on contact ID.